“High I” personality styles are often misunderstood … so this article is presented to help you to understand the I style better and hopefully clear up some common misconceptions you may have of this dynamic personality style. 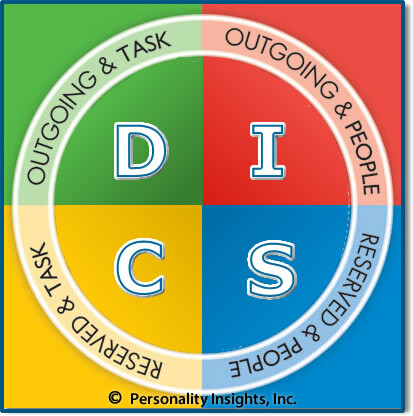 The DISC Model of Human Behavior presents four main personality styles and the “I” style is one of them, of course. 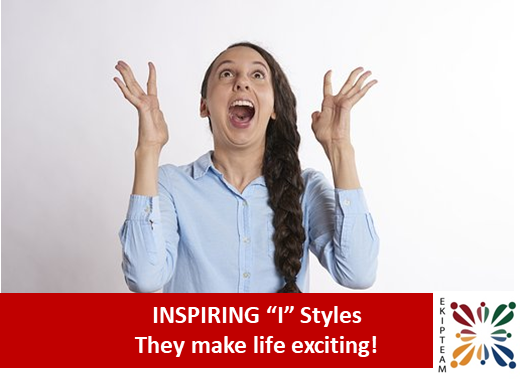 The Inspiring – I style is outgoing and people-oriented. Outgoing means they operate on getting involved and being active. People-oriented means that they are highly focused on people and relationships. We use words like Inspiring, Influencing, Impressionable, Interactive, Impressive and Involved to describe this personality style. I’s are the easiest to spot, because they tend to be more vocal and animated. They love to engage others in conversation. They communicate in a very talkative, expressive and energetic manner. They decide impulsively by interacting with others. They can be very persuasive and influential in gaining the approval of others. In short, they are likable and they like to be liked. A common misconception about I’s is that “they don’t make much sense.” They can seem illogical at times, but their priorities are different based on being people-oriented versus task-oriented. The I personality style’s way of reasoning is less linear (sequential) and more circular (relational). Their thinking (logic) is more influenced based on the people involved in a situation than the task to be completed. They feel and outwardly express a wide range of emotions; so be open to “experience” being with them. Their world is more dramatic, their colors more intense, and they look at life through “positively enhanced” glasses. Have some fun! An I personality style thrives on energetic interaction with others. Lighten up a bit with him or her. 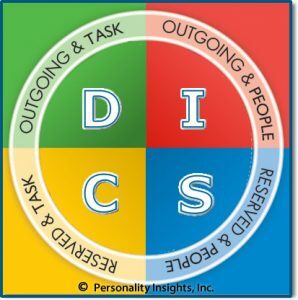 Even if you are a task-oriented person, you can appreciate the fact that an I personality style can motivate others to become involved and take action. They are tremendous influencers. Give the high I freedom to talk and be expressive. They do life interactively, so engage with them. They tend to think-things-through by talking-things-out. You will notice that their ideas and viewpoints can morph and change during a conversation. That is OK. Allow for some time in the conversation for his or her thinking to come together. If you have I traits and are working around task-oriented people, realize that they may want you to be more serious and focused. You may have to set aside your fun side for a few minutes when handling business or discussing important matters. The more you do what you say you will do, the more they will like you. High I’s are a dynamic group of individuals. They lift our spirits, brighten our day and inspire us! They make life more exciting! and be eligible for the monthly drawing of a DISC profile condensed version. Drawing occurs the last day of the month.